« It’s Spring, Let’s Go Outside! This writing studio somehow comes as no suprise. 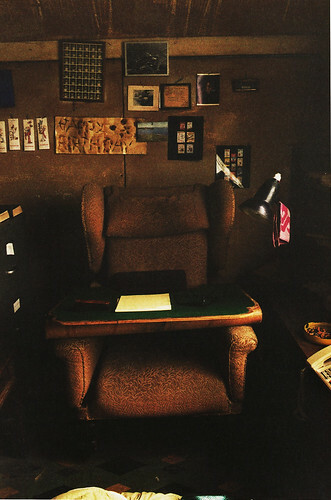 James and the Giant Peach, Charlie and the Chocolate Factory, and Dahl’s disturbing adult stories were written in this cramped, somewhat decrepit room. From The New York Times Magazine, 2006. 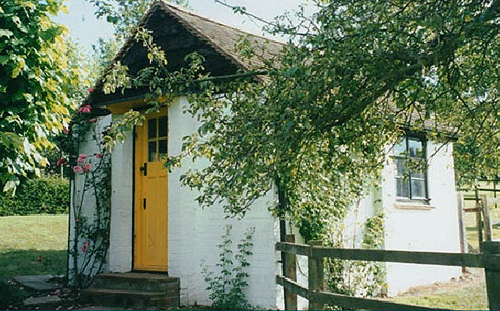 Roald Dahl died in 1990; the house and studio are now a museum. Take a 3D tour of the shed here. 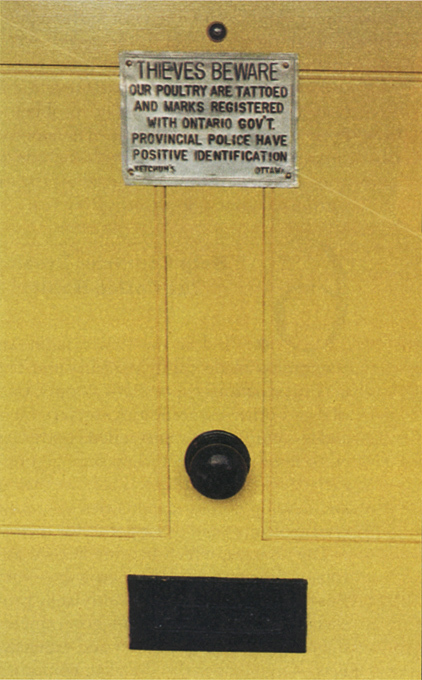 It was a surprise to see this little piece of Canadiana on Dahl’s door – apparently it was a longstanding family joke. This entry was posted on Sunday, April 12th, 2009 at 1:18 am	and is filed under design. You can follow any responses to this entry through the RSS 2.0 feed. You can leave a response, or trackback from your own site. Well what do you know, another eccentric British national treasure. I remember seeing the shed on TV the other day. What is it about us and being wierd? I grew up on Roald Dahl (even pulled my mom’s hair a few times to check if she was wearing a wig after reading The Witches)! 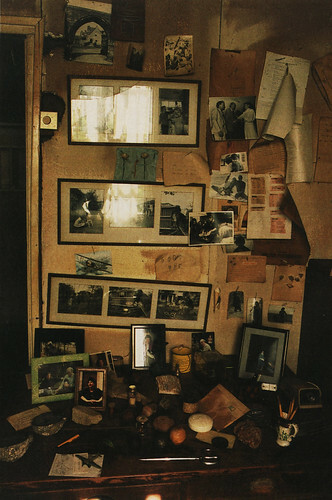 Can’t believe he wrote everything from that shed. Wow… so amazing. Thanks for posting this. PS: I love your blog… I just came across it when I was looking up Nest magazine.